Amendment of Section 27 of Maharashtra XXIV of 1961. “Explanation. - For the purposes of this sub-section, “votes to more than one candidate from the panel” shall be treated as one vote." Sub-section (12) shall be deleted. Amendment of Section 43 of Maharashtra XXIV of 1961. 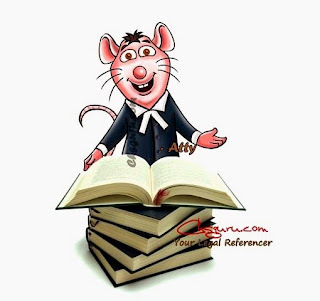 (ii) in the second proviso, for the words “the Reserve Bank of India guidelines” the words “guidelines of the Reserve Bank of India or the National Bank” shall be substituted. Amendment of Section 44 of Maharashtra XXIV of 1961. In section 44 of the principal Act, in sub-section (3), in the second proviso, for the words “the Reserve Bank of India guidelines” the words “guidelines of the Reserve Bank of India or National Bank” shall be substituted. Amendment of Section 44A of Maharashtra XXIV of 1961.
the words “or commercial” shall be deleted. Amendment of Section 62 of Maharashtra XXIV of 1961. In section 62 of the principal Act, to clause (e), after the words “to a society” the words, “including a co-operative credit structure entity” shall be inserted. 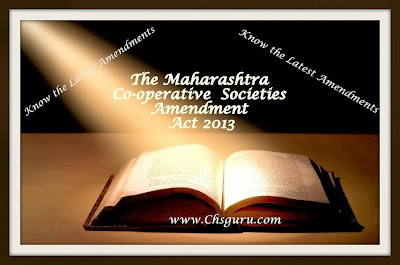 Amendment of Section 68 of Maharashtra XXIV of 1961. “(4) With effect from the date of commencement of the Maharashtra Co-operative Societies (Amendment) Act, 2013, the provisions of sub-sections (1) to (3) shall cease to be in force. (5) Notwithstanding anything contained in sub-section (4), any amount due on the date of commencement of the Maharashtra Co-operative Societies (Amendment) Act, 2013, shall be recoverable as an arrear of land revenue and upon the request of the State federal society, the Registrar shall, after making such inquiry as he deems fit, grant a certificate for recovery of the amount due as an arrear of land revenue. ”. Amendment of Section 69 of Maharashtra XXIV of 1961. In section 69 of the principal Act, for the words and figures “the educational fund as provided in section 68” the words, figures and letter “funds towards co-operative education and training as provided in section 24A” shall be substituted. Deletion of Section 69A of Maharashtra XXIV of 1961. Section 69A of the principal Act shall be deleted. Amendment of Section 70 of Maharashtra XXIV of 1961. “in any other mode permitted by the rules, or by general or special order in that behalf by the State Government :”. Amendment of Section 71A of Maharashtra XXIV of 1961. In section 71A of the principal Act, in sub-section (1), for the words, figures and letter “under sections 78, 96 or 144-T” the words, figures and letter “under section 78, 78A or 96” shall be substituted. Amendment of Section 73 of Maharashtra XXIV of 1961. Sub-sections (2) and (3) shall be deleted. Deletion of Section 73-IA, 73-IB and 73-IC of Maharashtra XXIV of 1961. Sections 73-IA, 73-IB and 73-IC of the principal Act shall be deleted. An officer who holds office by virtue of his election to that office shall cease to be such officer, if a motion of no-confidence is passed at a meeting of the committee by two-third majority of the total number of committee members who are entitled to vote at the election of such officer and his office shall, thereupon be deemed to be vacant. Amendment of Section 73A of Maharashtra XXIV of 1961. “(7) Where a person is elected, co-opted or nominated as a member of committee of any society by virtue of his holding office under the Central Government or the State Government or in any local authority or in any body corporate or in any organisation, he shall cease to be such member on the date on which he ceases to hold such office. (8) No member of a society, who is nominated to represent it on any other society, shall be eligible for being elected, co-opted or nominated as a designated officer of the other society, unless the other society is its federal society. (9) In the case of such class or classes of societies as may be specified by the State Government, by notification in the Official Gazette, no member shall be eligible for being elected, co-opted or nominated as a designated officer, if he is not an active member and does not fulfill the minimum qualification relating to his monetary transactions with the society as may be laid down, in such notification.”. Insertion of Section 73AAA in Maharashtra XXIV of 1961. (b) the names of the remaining members after they are elected (together with their permanent addresses), may also thereafter be likewise published by the Registrar.”.